Q) Does Nokia 5.1 Plus come with Gorilla Glass? Q) What is a Processor on Nokia 5.1 Plus? 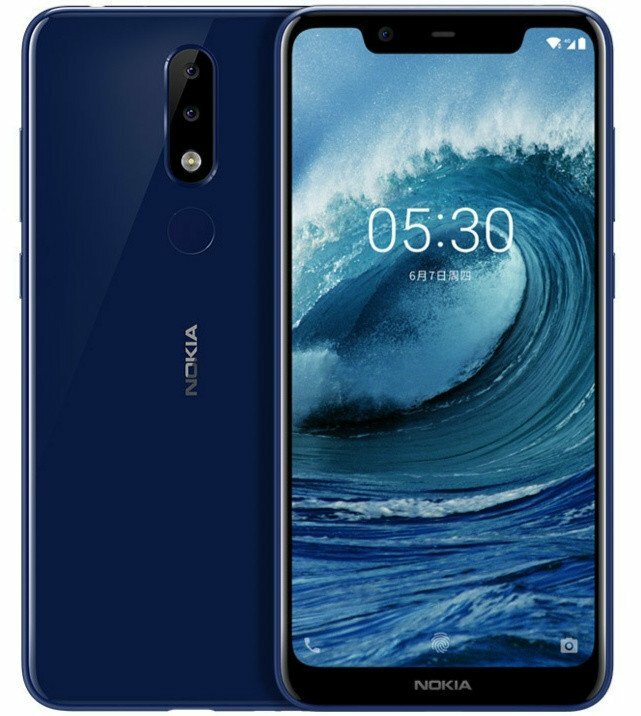 Q) Rear Camera on Nokia 5.1 Plus? Q) Nokia 5.1 Plus how much MP is the front camera? Q) Does Nokia 5.1 Plus can record 4K Videos? Q) Nokia 5.1 Plus have NFC? A)No, it does not have NFC. Q) What the are sensors on Nokia 5.1 Plus? Q)Does Nokia 5.1 Plus has Dedicated MicroSD card Slot? Q) Where is the fingerprint scanner on the Nokia 5.1 Plus located? Is it touch-based? A) The fingerprint scanner on the Nokia 5.1 Plus is located on the Rear and yes, it is touch based. Q) How many fingerprints does the Nokia 5.1 support? Q) Nokia 5.1 Plus will get Android 9.0 Pie Update? Q) Does Nokia 5.1 Plus is Supported for FM Radio? Q) Does the Nokia 5.1 Plus support LTE and VoLTe? Will a Reliance Jio SIM work on the phone? Q) How much is Battery on Nokia 5.1 Plus? Q) Connectivity Options on Nokia 5.1 Plus? Q) Nokia 651 Plus Box content? Q) From when Nokia 5.1 Plus will go on sale and Price?